"Angry men don't write the rules, and guns don't right the wrongs." 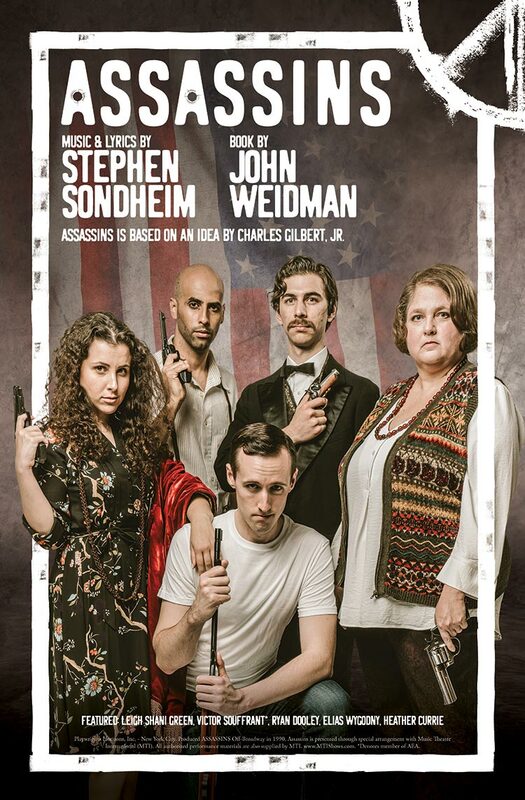 Stephen Sondheim and John Weidman's 30-year-old bold, disturbing, and alarmingly funny musical follows 10 assassins, eight presidents, and one American Dream. Assassins is based on an idea by Charles Gilbert, Jr. and inspired by true events following the murders of Abraham Lincoln, James Garfield, William McKinley and John F. Kennedy, and the crude attacks on other sitting presidents. This five-time Tony Award winning musical is a cautionary tale about the pain that comes from going too far, when you attempt to change a nation forever.